With virtuoso craft and a naturalist's accuracy, C. J. Sage reinvents the nature poem for the 21st century with her new volume, The San Simeon Zebras. Inside this wondrous contemporary bestiary Sage investigates the interactions of animals and humans, using her poems for a complex apprehension of our world. She counters pathos with whimsy, balances environmental destruction with mammalian ebullience, and sparks the mournful lyric with brilliant images of zebras, elephants, egrets - and umbrellas. Is it possible to resist playing on this poet's surname? C.J. Sage works her words with a zesty ease, offering us both curative herb and wise prophecy. 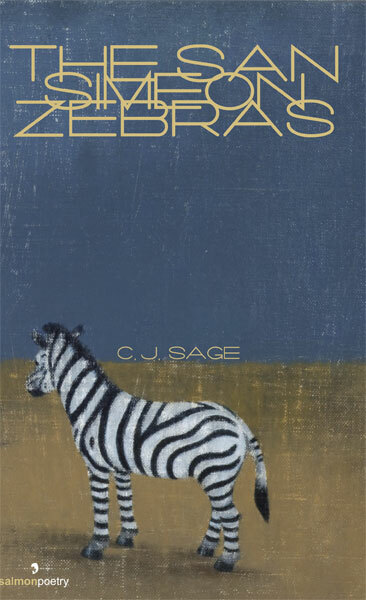 In The San Simeon Zebras, CJ Sage distills the cadences of faith and flourish into a gorgeous bestiary. Donkeys, egrets, zebras, snails, skunks-and more-reside in a beautifully rendered world where "the clicks of gate locks croon" and we can see "a thousand rows of spiny safflower heads." Sage blends meditations on animals familiar and strange, and moves between observations of these wilder landscapes and our own backyards to "remind us what we do." A wonderful way to "remember you aren't the only creature singing" is to read these poems. These poems read like a phantasmagoric zoo-a restless, and relentless, collection of beasts created by sound-play, hallucination, and pleasure. There is a feeling of ideÌ�e fixe, of obsession, that drives this poet onward to build a linguistic Island of Dr. Moreau where dream and the subconscious are barely contained by the rational impulses of language-to fascinating effect. C. J. Sage's poems appear nationally and internationally in publications such as The Antioch Review, Black Warrior Review, Boston Review, Ploughshares, Shenandoah, The Threepenny Review, et cetera. Previous books are Let's Not Sleep (poems), And We The Creatures (anthology), Field Notes in Contemporary Literature (textbook/anthology), and Odyssea (poems). After taking her M. F. A. in Creative Writing/Poetry, she taught poetry, writing, and literature for many years. A native of California, she now edits The National Poetry Review and Press and works as a Realtor in Santa Cruz and surrounding counties. Sage resides in Rio Del Mar, California, a coastal town on the Monterey Bay.